Peugeot 208 Interior, Sat Nav, Dashboard | What Car? 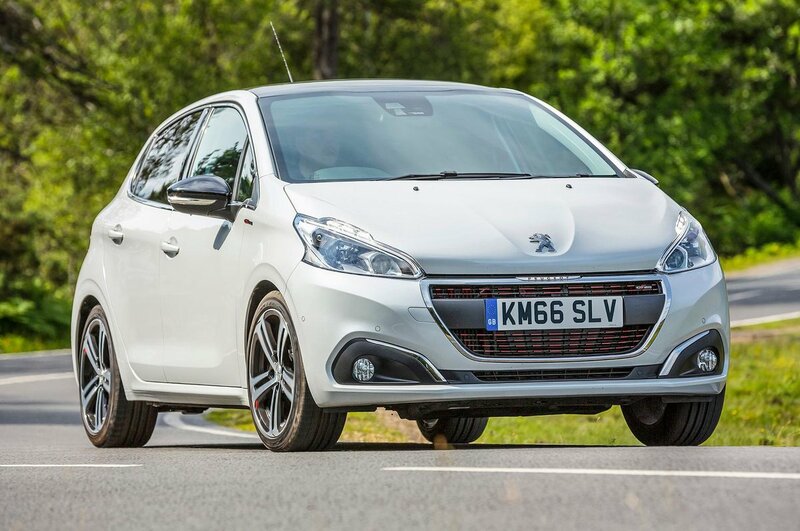 Tall drivers will find that the 208s smaller-than-usual steering wheel manages to obscure most of the dials no matter how it’s positioned – a strange design decision on the part of Peugeot. At least most of the dash-mounted climate controls are within easy reach and are clearly labeled. 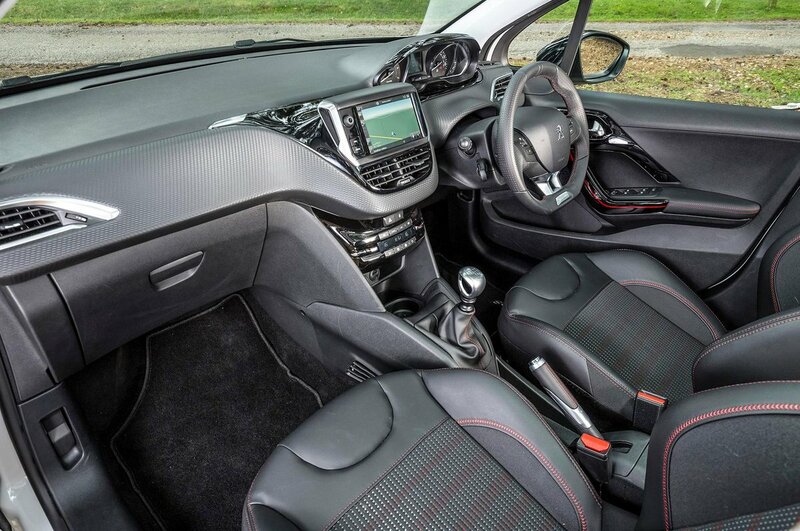 Aside from the GTi’s sports seats, the 208’s front seats offer pretty poor support. No model offers lumbar adjustment and the seat base isn’t particularly long, so the long-legged will find there isn’t much support beneath their thighs. The range of seat and wheel adjustment is good, though, and the 208’s pedals – in both manual and automatic models – line up quite nicely with the driver’s seat. A deep, wide front screen and thin pillars give good forward visibility, with little there to obscure your view when taking roundabouts or angled junctions. The driver's view is slightly worse over the shoulder, though; the 208’s thicker rear pillars and relatively small rear screen make seeing what's behind more of a challenge. Rear parking sensors are standard on Allure trim and above, but it’s possible to add them to lesser Active trim for not a lot extra. Unfortunately, entry-level cars can’t have them added, and it’s the same situation with foglights. A rear camera can be added as an option to all cars apart from Access A/C models, while a system that automatically guides the car into parking spaces can be added to Allure, GT Line and GTi models. Entry-level cars get a simple infotainment system that includes a radio and CD player, Bluetooth, steering column-mounted audio controls, two front speakers and an auxiliary connection, but no USB socket. It has a monochrome screen and simple buttons, so is easy to get to grips with. On every trim thereafter, Peugeot includes a 7.0in touchscreen as standard. It’s reasonably bright and crisp, with modern on-screen graphics, but it isn’t responsive enough. You often find yourself double-clicking buttons in frustration only to click something else. There are also quite a few click and drag motions required, which is fiddly on the move. With the screen added, so too is DAB radio, a USB socket and two extra speakers for improved sound quality. Sat-nav can be added on Active trim and above, as can smartphone app integration. This is one of the 208’s strongest attributes. While none of the chrome accents dotted about the wheel and dash are made from actual metal, they do at least look fairly convincing. Aside from on the entry-level model, the leather steering wheel itself also feels a decent quality. The switchgear is probably the weakest area, feeling slightly less substantial than those in the Skoda Fabia or Volkswagen Polo. Still, at least the majority of the 208’s dash is covered in dense, soft plastics that suggest quality. The piano-black areas on the dash also feel solidly built.